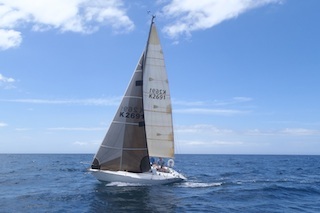 Yachting NZ have her registered as a Gary Mull design (not convinced). DD Kauri with glass over and GOP decks. Currently undergoing major surgery for deck rot - new deck, cockpit and cabin. 28' overall so one of the bigger quarters.